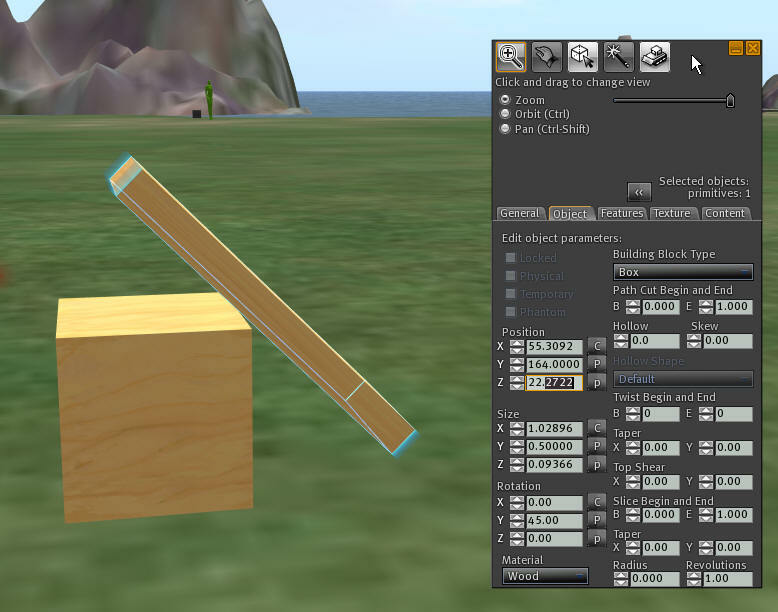 This one-script prim animator is is one of the most useful scripts in Second Life. You can now animate any object, with just one script! Setup is very simple. Just drop the script and a blank notecard into the object, click the object, and give your animation a name. Move all the prims around, and click Record. When done, click the Animation Name, and watch it play back every move! This script uses a new and very fast command called 'llSetPrimitiveParamsFast'. This means that dozens of prims can move almost instantly. 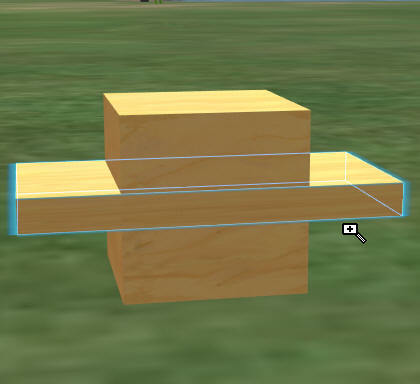 Now you can easily make almost anything move with no scripting knowledge needed. I've even included a wandering animal script I used in this little dinosaur freebie. Unlike other $$ prim puppeteers and animators, there is no need to rename any prims, no need to rez and re-rez, no need to depend upon external servers, and no need for more than one script. It's also expandable and can take commands from other scripts. There is no delay between prim movements like older animators. And best of all, it is open source! 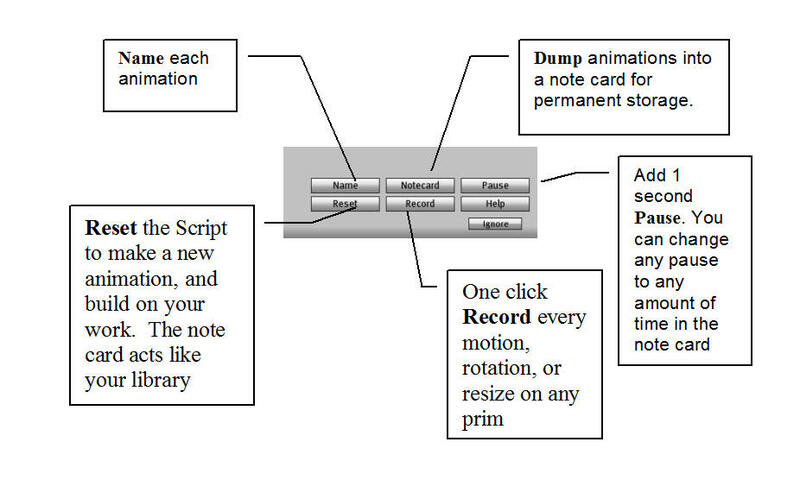 Storage: You can save your animations to one or more note cards to save movements permanently, if you need to reset. The first step is to name your animation. You can store up to six animations in the main menu, and store as many as you can fit into the note card. Click 'Name' on the Menu. The script will tell you to type the name in on a secret channel. The number changes each time so it will not interfere with other people who may be editing while using the same script. In this example, it suggests channel /656. Type in a name on the channel it indicates, such as '/656 Test1' The slash and number tells Second Life this is a private conversation with the prim. The script will tell you to Position all the child prims. Next, select the Menu item 'Record'. Click the name that you called your animation, and watch it play back! You can click Notecard to see the saved coordinates. These can be save in the note card for playback. After saving them, reset the script. It will reload all the coordinates and be ready to go again.